Taylor Sappington is exactly the kind of candidate his party should want in Ohio. But he couldn’t get union support. Taylor Sappington heard the call like so many other Democrats in the year after Nov. 8, 2016. He had seen Donald Trump coming, homing in on his little town of Nelsonville, Ohio, in the state’s impoverished Appalachian southeast. The town of 5,300 people had voted for Barack Obama twice by large margins. Trump was Nelsonville’s pick in 2016, though it was more by default than acclamation. Trump won there with less than a majority, with 30 percent fewer votes than Obama had gotten four years earlier. 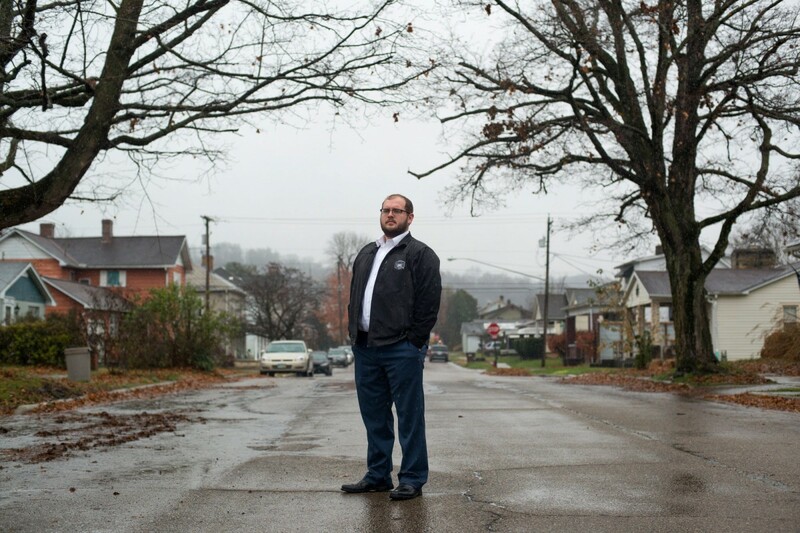 Sappington, a 27-year-old Ohio native, took this as evidence that Nelsonville was not beyond redemption, that the town where he had grown up in hard circumstances — the son of a single mother who was for a time on food stamps, living deep in the woods in a manufactured home — wasn’t really Trump country. Not so long ago at all, Ohio was considered the quintessential swing state — it had, after all, voted for the winning presidential candidate in every election starting with 1964. Something happened this decade, though. 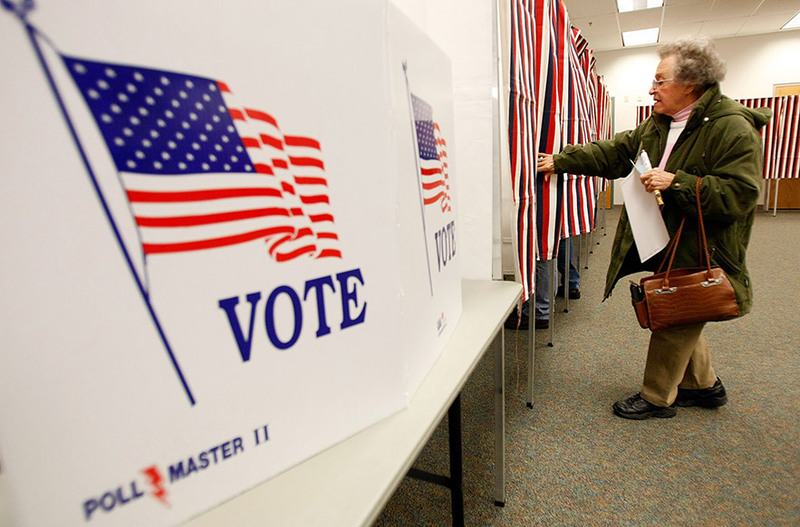 The 2010 national “shellacking” of Democrats left a particularly strong mark in Ohio. The Republicans who assumed control of Columbus pulled off an aggressive gerrymandering of federal and state legislative districts. In 2012, when Obama won the state for the second time, Republicans held 12 of the state’s 16 congressional seats despite winning only 52 percent of the total House vote. The state’s makeup had been trending red, too. At a time when the share of white voters without college degrees — who are fast becoming the Republican base — decreased nationwide, it held strong in Ohio. The state was drawing relatively few immigrants, its education system was sliding in national rankings and, with its smaller cities and towns falling far behind thriving Columbus, it was losing many young college grads to jobs out of state. Not Taylor Sappington, though. He wanted to stay. He had gotten hooked on national politics in high school, around the time he read a book on Robert F. Kennedy’s 1968 campaign. And he had gotten out of Nelsonville, winning nearly a full ride to George Washington University. But he felt out of place in D.C. — the wealthy students who abused expensive drugs and thought nothing of paying big cover charges at clubs, the dead-eyed people in suits rushing down the sidewalks — and he’d come back to finish at Ohio University, down the road from Nelsonville, in Athens. He took a break from school to work for Obama’s 2012 campaign in Ohio. And even before he had his diploma in hand, he’d run for, and won, a seat on the Nelsonville City Council. The council seat came with only a $100 monthly stipend. So Sappington kept working as a waiter at the Texas Roadhouse in Athens. Later on, he added another gig: fixing broken smartphone screens in partnership with his younger brother, who drove an hour each way to work as a correctional officer at the prison in Chillicothe. Sappington was content to stick with this combination for a while. He scratched out a living while pushing his agenda on the council: finding the money to fix the town’s rutted roads, demolishing vacant homes, pushing for a mayoral system of government. Then came 2016, which gave Trump an eight-percentage-point win in Ohio and swept in a new state representative for the district that included Nelsonville, which had been held by a Democrat for the previous eight years. It was now held by a young Republican, Jay Edwards, who had been three years ahead of Sappington at Nelsonville-York High. He was a star quarterback who’d gone on to play linebacker at Ohio University, the scion of a prosperous local family. Sappington was still mourning the election when, just a few weeks later, he confronted darkness of a different order. His longtime boyfriend — a gentle autodidact who had taught himself to build furniture and musical instruments when not working at Ruby Tuesday — committed suicide, at age 25. A few months later, Sappington suffered another loss: the suicide of one of his cousins. A high school friend, a former service member, was succumbing to opiate addiction. The gloom seemed relentless. Sappington decided the best way to fight it was to have something else to think about. Late last year, he made up his mind to run against Edwards, to reclaim the 94th House District in the Ohio statehouse for the Democrats. He knew it would be a challenge. He was young. He would be vastly outspent. On the other hand, the district had been blue until very recently, and 2018 was promising to be a strong Democratic year. And he could, at least, count on support from unions and national progressive groups. What he didn’t reckon with was that those organizations were already making a very different sort of calculus about his district, and about Ohio in general. The video was so powerful that the Ohio House Democratic Caucus played it at a fundraiser in Columbus. Sappington learned of this secondhand, he said, because he wasn’t invited to the event. In general, he was having difficulty getting assistance from party leaders in Columbus, who seemed to be ranking candidates’ eligibility for support based in large part on the money they’d been able to raise. It wasn’t easy for a waiter in the poorest corner of the state to get people to write him checks, but Sappington had been prepared for that challenge. What he hadn’t been prepared for was the lack of organizational support. Progressive groups in Washington and New York were focused mostly on congressional seats — never mind that it was state legislatures that would determine congressional lines for the next decade. But most confounding were the unions. One by one, they started supporting Edwards. And not just the building-trades unions, which sometimes side with Republicans, but the Service Employees International Union and the public sector unions — AFSCME, the Ohio Education Association and Ohio Civil Service Employees Association. The only endorsements Sappington received were from the National Association of Social Workers and the Sheet Metal, Air, Rail and Transportation Workers. He was stunned. He was about as pro-union as one could be. In his video, he had mentioned his earlier activism against the law that Ohio Republicans had pushed through in 2011, eliminating collective bargaining for public employees, which was later overturned by referendum. His mother had been active in AFSCME; his brother belonged to the Civil Service Employees Association. And Sappington himself was a low-wage service worker. 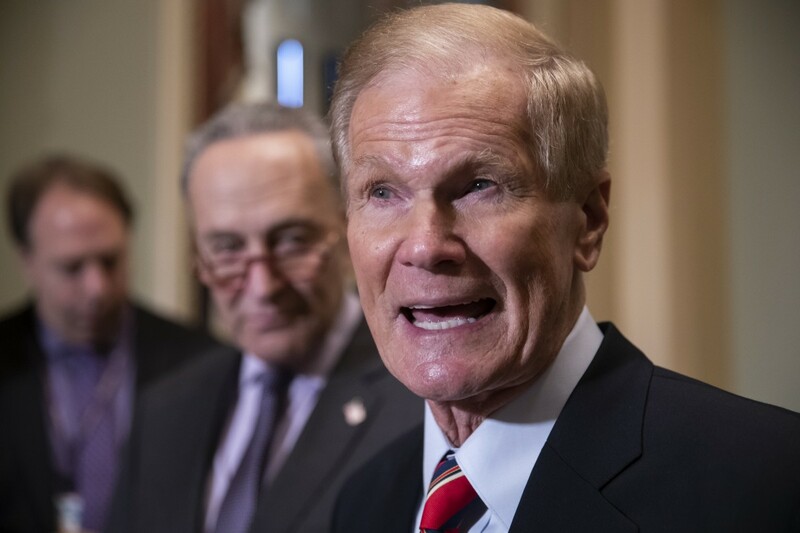 Yet he was losing labor support to a Republican who had supported a state budget that effectively reduced funding for education and who was a staunch opponent of abortion rights, a position at odds with many public employee union members. What he learned when he asked around, and what I later confirmed, was that the unions were, in many cases, making a grimly pragmatic decision in his race and others around the state. The Democrats had fallen to such a woeful level in Ohio state government that unions felt as if they had no choice but to make friends, or at least nonenemies, with some Republicans, in hopes of staving off anti-union measures such as “right-to-work” legislation and elimination of prevailing-wage standards. For years, unions in the Midwest have rightly prided themselves on delivering the Democrats far higher margins among white working-class union members than among their nonunion brethren. But Trump had strained that bond in some unions, drawing support from many members even as their leaders had remained nominally committed to Hillary Clinton. Most unions were back on board with the Democrats in Midwestern federal and statewide races this year. In state legislative races in Ohio, though, unions hedged their bets. The Ohio Education Association, for instance, endorsed 13 Republicans in state House races and three in State Senate races, while staying neutral in some others. Seen from one side, this was realpolitik. Seen from another, it was self-fulfilling fatalism, consigning the unions’ Democratic allies to permanent minority status. Sappington forged on without the unions. His campaign’s slogan: “Health Care. Infrastructure. Integrity.” He had the help of a dedicated band of supporters, including an Ohio University student, Jordan Kelley, who was on leave from his studies while he saved money for his final semesters working at Buffalo Wild Wings. Bit by bit, Sappington raised money, bringing in about $80,000. That was enough for radio ads, postage for thousands of handwritten postcards and stipends for campaign workers. But it was far less than the $430,000 that Edwards had raised since 2016, nearly half of which was from unions. He shared much of this largess with others in his party, which meant the unions’ money was also helping Republicans who were less pro-labor than Edwards. In August, Sappington got the ultimate affirmation of his candidacy: He was one of 81 candidates across the entire country endorsed by Obama. That imprimatur cast the unions’ position in an even starker light: They were now lined up behind a Republican against a Democrat endorsed by the still-popular ex-president. Other organizational backing remained slow in coming. The state House Democratic Caucus sent a young campaign manager and paid half of his salary, but he was ill-suited to rural organizing and he stayed only six weeks. Sappington struggled to get Democratic candidates for statewide office to campaign alongside him in the district. One national progressive group whose help he had sought sent no money, but did send, as a gesture of moral support, a package that included nuts and dried fruit. On the night before the election, when other candidates might have done final phone-banking, Sappington had to report to Texas Roadhouse for a staff meeting on new food-safety measures. The next day, he traveled around the district to check on turnout levels. At night he headed to a vacation cabin in the woods that he had rented to watch election returns. His friends and family assembled to eat his mom’s chili and watch MSNBC. Sappington sat with a laptop, monitoring the numbers trickling in from around the 94th District. Athens had turned out strongly, and he’d racked up big majorities there. But he’d been swamped in the rural areas. Edwards’ margin was the exact same as it had been against a different Democratic opponent two years ago: 58 percent to 42 percent. The numbers were bleak for Democrats across the state. Sherrod Brown had won re-election to the Senate against a flawed opponent, by about six percentage points, but he was an anomaly. Democrats had not managed to win a single one of those gerrymandered congressional seats. They still held only four of 16, despite winning 48 percent of the congressional vote. They had lost not only the election for governor but for every other statewide office. They’d picked up only four seats in the state House and lost one in the Senate, leaving Republican supermajorities in both chambers — this despite Democrats having won nearly a majority of total votes in those races, a sign of just how effectively gerrymandered districts were. In a way, the Democrats’ failure to make big gains had affirmed the unions’ self-protective strategy; but that failure had been partly abetted by the unions themselves. 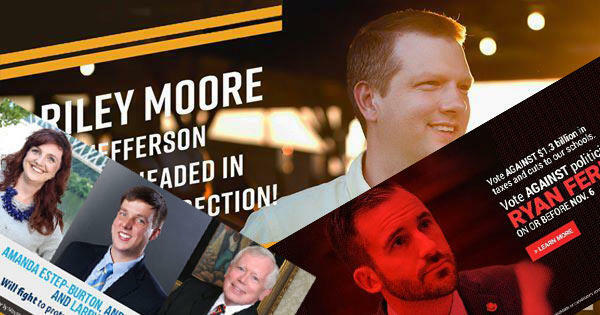 There was another aspect, though, to the failure of the unions, state party leaders and progressive organizations to strongly support candidates like Taylor Sappington. He is a native of small-town Ohio, working-class not only in his roots but in his own livelihood: exactly the sort of elected official whom Democrats say they need to cultivate in areas where the party is losing ground. At 9:45 p.m., Sappington slipped out of the cabin to call Jay Edwards and concede the race. When he came back into the cabin, his face was drawn. He said that Edwards hadn’t immediately known who was calling, and a hard conversation was made harder. This story was co-published with The New York Times. It was originally published by ProPublica.